Technology Trends 2018: What is Mesh Networking? Mesh networks are networks made up of devices and nodes (physical redistribution points which receive and transmit wireless signals). These networks are already beginning to revolutionize the capabilities and scope of the internet of things (IoT), which needs reliable and strong network connections to gather, send and receive data. Mesh networks enable IoT devices to function in remote areas where a traditional network may not be able to reach, and help ensure devices are continually connected to networks without downtime. According to a Research and Markets report, the wireless mesh network market is expected to grow to $8.9 billion by 2023, growing at a rate of 9.6 percent CAGR during the forecast period (2017 to 2023). 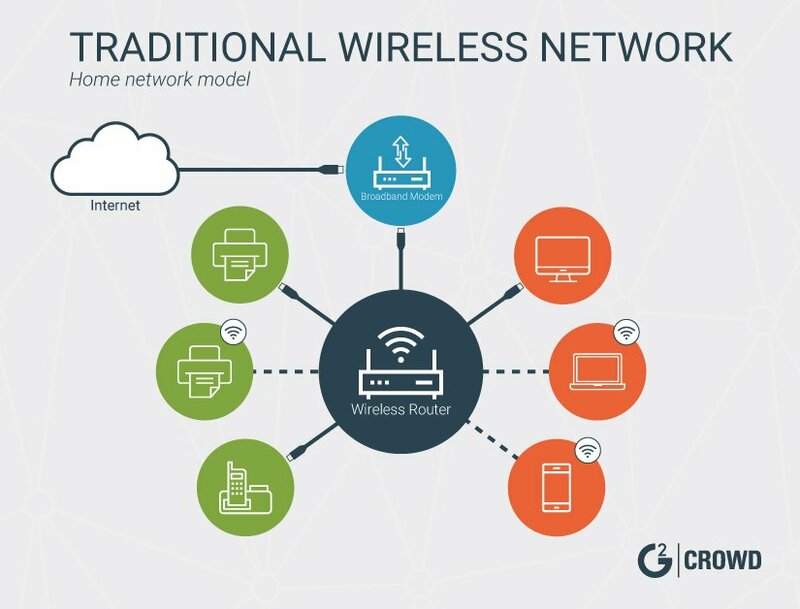 The diagram above shows a traditional wireless network. The wireless signal is sent from the modem to a router, which then sends signals to each Wi-Fi-enabled device. The diagram above shows how mesh networks function. Signals are passed to and from each individual node, or connected device, creating a web of connected devices. If one node is removed or has an outage, the mesh network is self-healing and wireless signals are sent to another device. Mesh networks have been around for some time, but are growing in popularity as the prevalence of IoT is increasing on a consumer and industrial level. IHS forecasts that the IoT market will grow from an installed base of 15.4 billion connected devices in 2015, to 30.7 billion connected devices in 2020, to 75.4 billion connected devices in 2025. As the number of connected devices scales rapidly (a predicted growth of almost 5x in a 10-year span), mesh networks will enable consumers and businesses to connect all of their devices without the need for dedicated hubs. This allows for the proliferation of networks of connected things. The network should be a critical consideration for any company looking to transform digitally. Outdated infrastructure can extend the limitations of a company’s digital transformation, as it hinders the ability to be fast, flexible and reactive to the needs of the business (which should be continually evolving and developing based on analytics). Deploying a new network is admittedly no small feat, and it’s something organizations need to get an advance on. Networks are the foundation for gathering and sending business-critical data, which should be used to inform and evolve strategies and efficiencies. Companies lacking a fast, secure and reliable network put themselves at a severe disadvantage when it comes to the modernization of their organization, workforce, operations and processes. Deploying a new network is admittedly no small feat, and it’s something organizations need to get an advance on. Failing to consider a plan to migrate toward mesh in the next two to three years is going to put companies behind the curve in comparison to forward-thinking competitors. Mesh networks enable companies to optimize/automate business processes, empower workforces and access more business-critical data than ever before thanks to the reliable and scalable interconnection of devices throughout. The deployment of a mesh network brings IT teams into the fold and assigns them a crucial role in a company’s digital transformation initiatives. Once implemented, mesh networks are lower maintenance than a traditional network would be. Mesh networks are self-healing, meaning that if there is any disruption to the connectivity of a certain device, the network just connects to other devices and the network is not dropped. 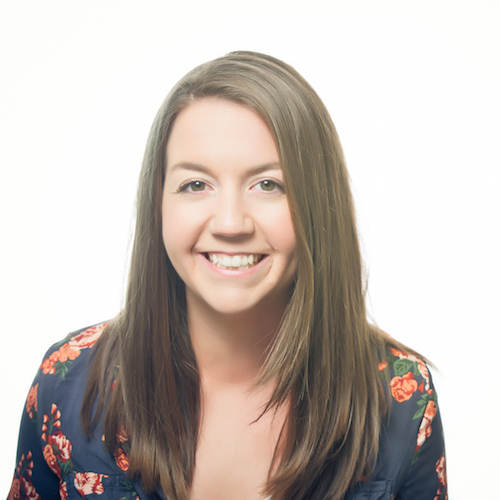 This, in addition to the speed and automation they provide, move IT teams away from being the support team, and provide them more time and opportunity to serve as a strategic partner to business strategies and development. Mesh networks are the network foundation powering many smart cities throughout the U.S. An example is Scottsdale, Arizona’s, intelligent transportation system (ITS). The ITS platform connects 90 strategically placed nodes and more than 80 video cameras via a mesh network. This allows the ITS to monitor traffic activity and provide motorists with important information. It also allows them to remotely monitor and manage traffic congestion or road closures. Through the ITS, video cameras along roadways, traffic signal controllers and message signs for motorists are all connected, so the city’s traffic management center can continuously monitor the roads and gather data about traffic. This information in turn enables the city to make more intelligent, data-based decisions on how to eliminate traffic gridlock and create safer road conditions for drivers. Scottsdale has reported a number of benefits to adopting a mesh network, including reduced costs due to a decreased need for police details to direct traffic, less gridlock due to accidents as operators can detect issues and adjust signals immediately to eliminate delays, and increased traffic management, even as the city’s driver population grows. Mesh networks are, and will continue to be, instrumental to advancements in industrial automation. Mesh networks allow machinery to be connected to networks without expensive, messy wiring. When connected to mesh networks, machines are able to share sensor data consistently and reliably, regardless of proximity to the network source or conditions. Industrial environments can be notoriously harsh, with dust, chemicals, unreachable high points, cracks and crevices. With mesh, diagnostics can be run remotely without having to string any wires through hazardous environments. Thanks to mesh, industrial systems can now access a wireless format that doesn’t face attenuation, provides flexibility and is self-repairing, therefore reliable. In a case study from Sensors Online, a mesh network was deployed to a water treatment facility. Traditional networks would be almost impossible to deploy in this three-story setting, with wiring hindered by thick concrete walls and giant tanks of water connected by metal pipes. By implementing repeater nodes on each floor, the facility was able to send instrument data back to a central control room completely wirelessly via a radio frequency network. Aside from collecting and sending data much more efficiently, it’s estimated that the installation took one-tenth of the time it would take to hardwire each instrument back to the control room. If we were to suffer an internet outage during an emergency or disaster situation, communication would become next to impossible. As mesh networks are self-repairing, they allow emergency services to remain connected to a network even if standard networks are overloaded or experiencing a complete outage. In the aftermath of Hurricane Sandy in 2012, phone lines and critical communications were out for weeks in some neighborhoods, leaving residents unable to contact 911 or loved ones. A youth-development non-profit called Red Hook Initiative (RHI) established a mesh network in conjunction with the Open Technology Institute in the neighborhood of Red Hook, Brooklyn, which was disproportionately impacted by the storm due to the fact that it’s surrounded by water on three sides. The initiative made it possible for relief workers and those in need of assistance to regain internet access through a community Wi-Fi network. Following the disaster, RHI has worked to expand its Wi-Fi project to cover 80 percent of open spaces in the neighborhood. Farmlands can be expansive, and laying cable for a traditional network is next to impossible. When you dig into a farm, there is an incredible amount of data that farmers could use to make smarter decisions, have better yields and make higher profits. But they need to be able to collect that data from disparate sources, compile it and analyze it to establish actionable outcomes. This is where IoT and mesh networks are impacting agriculture. By connecting environmental sensors which can capture data — such as temperature, humidity and vibration, as well as cameras to “watch over” the farm — not only can farmers make smarter decisions about how to treat their crops or livestock, they can also create workforce efficiencies by knowing whether fields are workable before sending out farmhands, or enable proactive maintenance on machinery. Mesh-enabled farms can send real-time data back to a control center, or even to the cab of a tractor, giving the farmer access to make smarter decisions. Not only that, but there is also the potential for wireless remote machinery control. With a mesh network, someone in a control center could turn machines on or off, or make adjustments to their settings or outputs without having to physically be at the machine. Mesh will begin to become a standard offering from internet service providers, providing mesh extenders to consumers to provide increased service and connection quality. 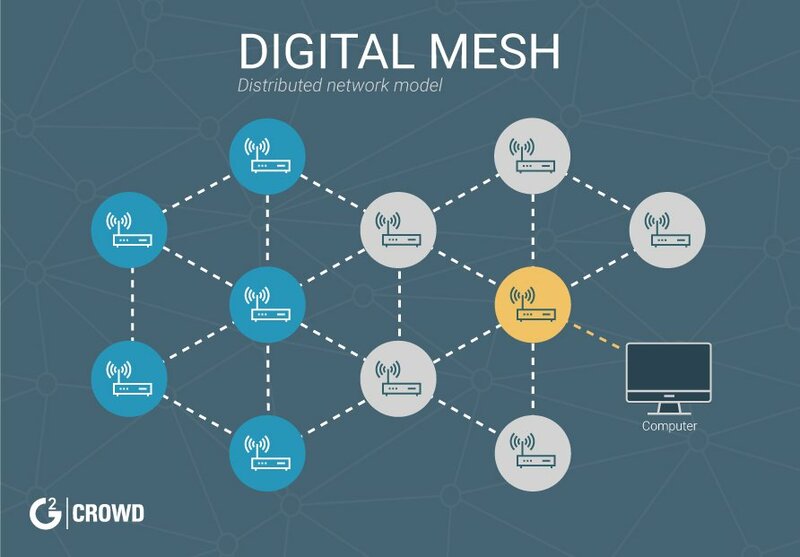 Many consumers don’t understand the concept of mesh and don’t know how to set up their own mesh network. By providing the hardware and education directly, ISPs can capitalize on the growing prevalence of mesh, helping it become the new standard in 2018. Mesh networks are often Wi-Fi based, but there’s room for Bluetooth in 2018. Bluetooth mesh was introduced in 2017 and could turn out to be more efficient than Wi-Fi networks, with stronger signals and lower costs. Wi-Fi can lead to high energy usage, and Bluetooth mesh is a low-power solution. Bluetooth mesh is slower than its Wi-Fi counterpart, but edge computing could help to balance out any lag. As all computers and devices in a wireless mesh function as routers, each computer represents a possible point of attack. DDoS attacks have the potential to course through a mesh network — as one computer or device becomes infected, there can be a ripple effect throughout the network, taking it all down. At G2 Crowd, we see cybersecurity as a massive trend for 2018, and part of the focus is going to extend to making mesh networks more secure, especially as they become more widely implemented. These are only a few examples of industries where mesh networks are helping with digital transformation, but the potential is wide reaching. Companies looking to digitally transform in 2018 should evaluate their networking needs and assess whether a scalable, reliable and self-repairing network would bring benefits to their business. Outdated infrastructure can extend the limitations of a company’s digital transformation, as it hinders the ability to be fast, flexible and reactive to the needs of the business.